Pioneers in the industry, we offer gold refining plant, gold refining machine, 5 kg gold refining machine, 10 kg gold refining machine and 2 kg gold refining machine from India. We are the leading manufacturers of Gold Refining Plant providing to our customers. 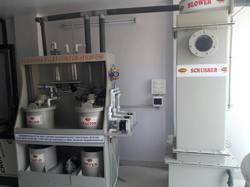 Clients can rest assured upon us for achieving a smart and captivating range of Gold Refining Machine that is easy to operate and is 100% ecologically and environment-friendly that serves the no- noise aura at the user end. These machines are dimensionally apt and versatile enough to be operated upon the waste of gold, silver, platinum, palladium. These are available in different capacities to suit the requirement of the clients. 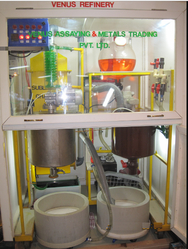 We are among the most reputed and leading companies for offering a huge range of 5 kg Gold refining machine. Our organization is one of the leading manufacturer and supplier of a varied range of 10 Kg Gold Refining Machine. With the support of the skilled and dedicated team of professionals, we manufacture and supply a wide range of 2 Kg Gold Refining Machine. Looking for Gold Refining Machine ?